Our Large Sword Frogs are designed to hang from your waist belt and will securely hold your sword in place. They fit up to a 3 inch wide belt. This frog is a must-have for any sword master, knight, or warrior! Please specify if you would like to have the frog in a left hand or right hand draw, or straight up and down. The right handed frog is worn on your left side, for a right handed draw. The left handed frog is worn on the right side, for a left handed draw. They are available in black or brown, with silver (steel) or gold (brass) hardware. 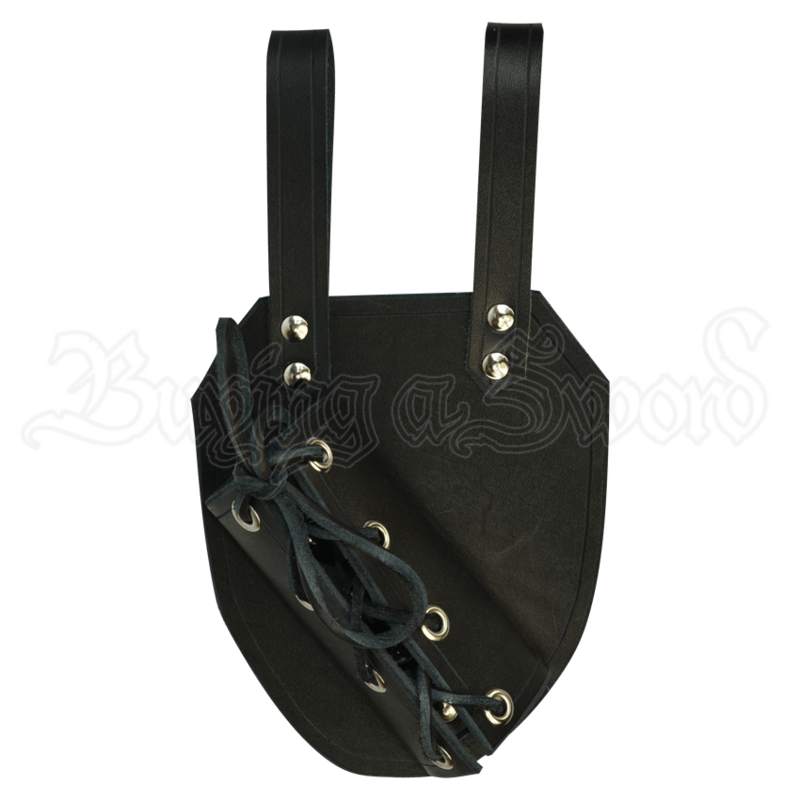 Its a nice sword holder but dont use it for LARP swords the inside of the holder is rough and will damage your LARP sword but other then that its a good sword holder. Keep up the good work!